Buddhadeva Bose’s greatest novel is a grand family saga set in Calcutta during the last two decades of British rule. Of Rajen Mitra’s five lovely daughters, it is the youngest – the beautiful, intelligent Swati – who is the apple of her father’s eye. As she grows from an impetuous, spirited child to a lonely young woman, Swati is witness to the upheavals and joys of the Mitra family even as the country slides towards the promise of independence and the inevitability of war. Anxious to ensure that his daughters find suitable husbands, Rajen-babu realizes that it is only a matter of time before his favourite child too must leave home. While the boorish entrepreneur Prabir Majumdar decides that she will make him a fitting wife, Swati finds herself increasingly drawn to Satyen Roy, the young professor who introduces her to a world of books and the heady poetry of Tagore and Coleridge. 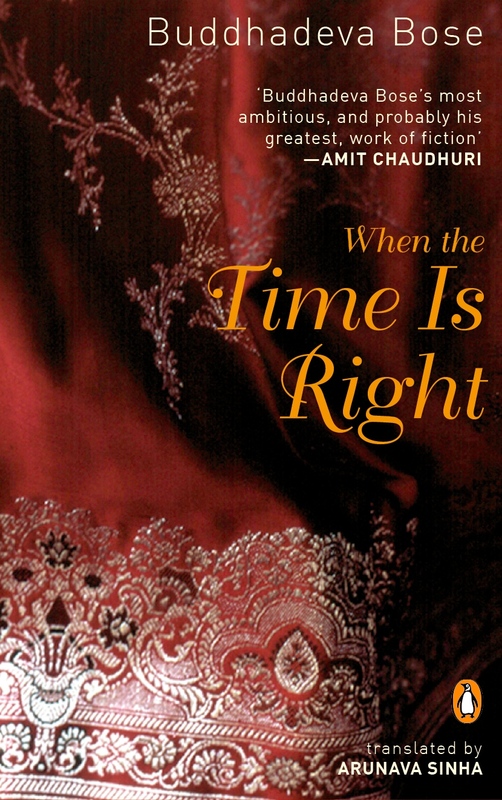 First published in Bengali as Tithidore in 1949, When The Time Is Right is a moving tale of a family and a nation.